Castlevania the bullet-hell shooter. You could almost write a review for this game just based on that one sentence and people would either know that they wanted it or not. But let’s dive a bit deeper. 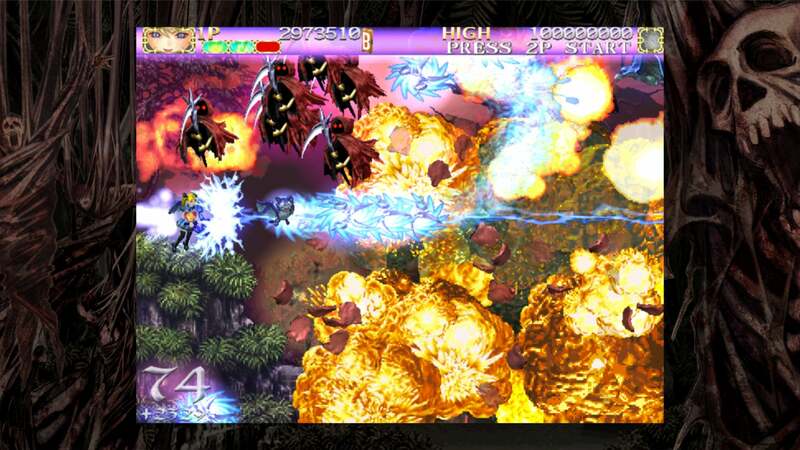 This is the second sidescrolling Cave shooter. Cave has become so synonymous with the bullet-hell genre that many just typically call all shooters of that type “Cave shooters”. But their early ones were all top down shooting. 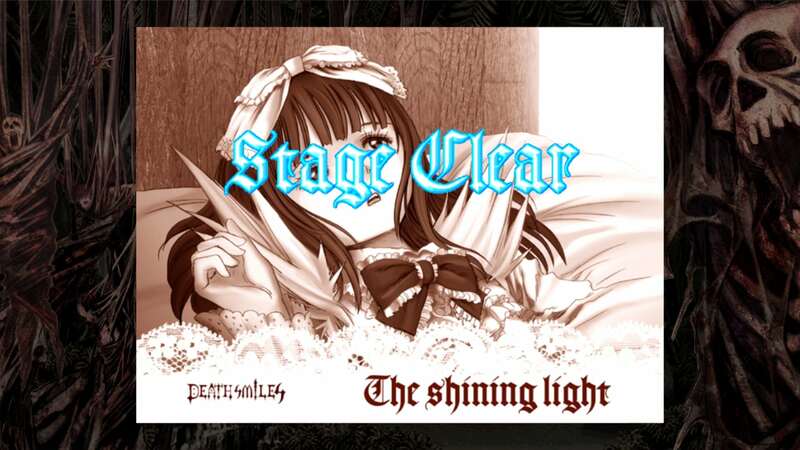 Take for instance their classic Mushihimesama, which has also been released on Steam. With this game, they not only changed perspective, but they also changed the aesthetic quite a bit. Gone is the insect aesthetic of the previous Steam title, and in its place is a gothic horror theme. Plenty of cute girls in this horrific world, though. Like most Cave shooters you have a fairly sizable character model but a very small hit box. In this game it is represented by a small heart that you can see glowing in their body. The 4 characters (5 in the Mega Black Label mode) each have a different type of magic and a different Witch familiar, that represents the different types of shots each has. You never receive a constant shot upgrade within the round, but once you reach a certain item collection level, you can activate overdrive which powers up your shot quite a bit. That mode also allows you to pass through many types of shots, but not all. How many item levels you need to activate it varies with the mode you are in. In some modes, discussed below, you need a minimum 1000 or 500 or even 100. But either way the overdrive mode lasts until that item level counts down to zero or you get damaged. You also have access to bombs, depending on the mode you can have between 1 and 3, which will replenish as you take damage, so use them if you need to avoid damage or risk wasting them. The Item Counter is in the lower left, and it will glow gold when you can use Overdrive. One of the things that changes on higher difficulty levels is that when you destroy an enemy, instead of just scoring items released, they will also start releasing counter bullets that are shaped like mini crosses. While they will still damage your character if they hit you, they serve a beneficial function as well. If you hit those crosses with your familiar, it will absorb them and add to your Item Counter total. So you can potentially have your Overdrive up more often if you play it right. This is definitely helpful for the higher difficulties. 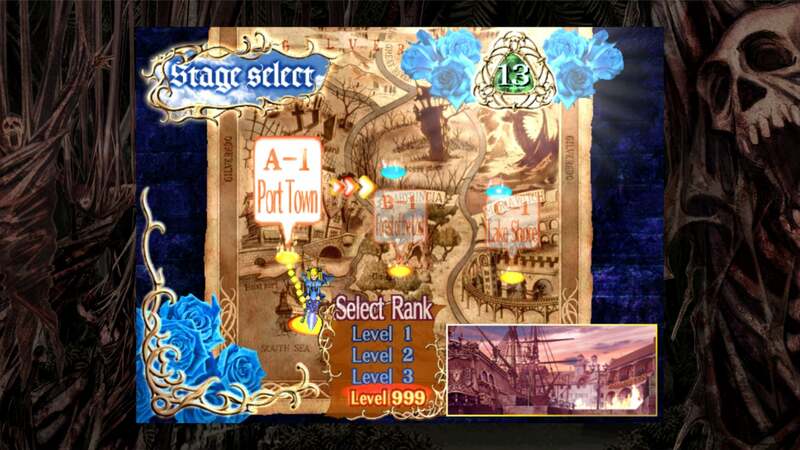 In most modes the difficulty will ramp up if you start at Level 1, up to Level 3. But in the Mega Black Label mode they have an entirely optional Level 999 option. This adds a ton of difficulty and entirely new boss phases. But does your amp go up to 999? There are 6 story modes in the game. 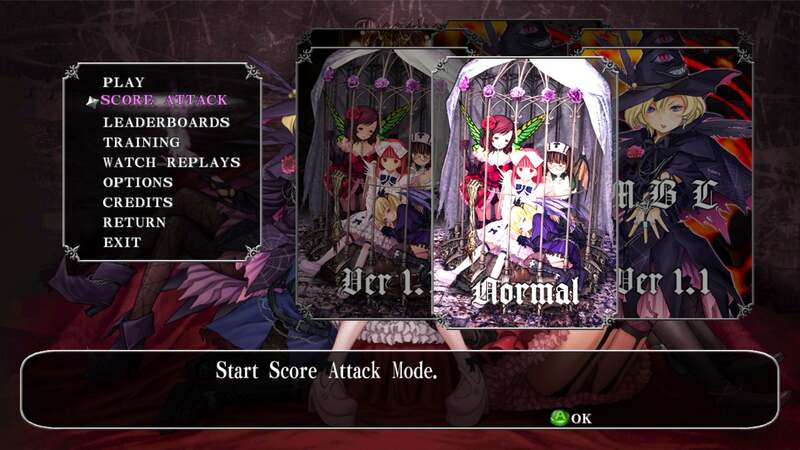 The modes are Normal, Version 1.1, Arcade, Mega Black Label Normal, Mega Black Label Version 1.1, and Mega Black Label Arcade. That can be a bit confusing because they do not really explain adequately the differences in each version. One of the major differences is that the arcade versions have a drastically smaller viewing screen and more pixelated graphics. But it is entirely arcade perfect, so if you want to relive that experience (sans the drain on your pocket full of quarters), it is there for you to experience. Generally though I would suggest avoiding those modes for anything other than nostalgia. Version 1.1 is different from Normal in that it was the Xbox 360 version that allowed you to change the position of your familiar using the right analogue stick instead of allowing it to freely move on its own. This is a marked improvement, especially for the higher difficulty levels, so I recommend that mode the most. 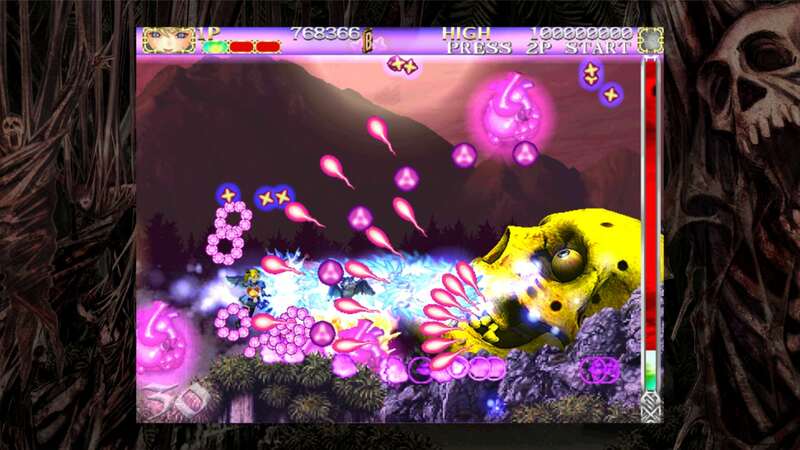 Mega Black Label versions (or MBL) are the incremental arcade upgrade that changed a couple mechanics, added the level 999 difficulty, a new optional Frost stage, and added in the boss character Sakura as a playable character. Notably they added a decent amount of story for her, so it was not a slipshod addition. Six different versions?! Oh my. Some additional features added into this version are the Score Attack mode which skips all story elements and just focuses on how high you can get on the Leaderboards, and also Training which allows you to set up some conditions and go to whatever stage you want. You can save a playthrough when you are finished with your campaign or after you choose not to continue. You can also watch the replays of others. No doubt down the line people with stellar plays will have their videos posted so you can marvel at their dexterity. From what I know of the game, the only possible thing I can think of that is missing was the couple additions to the iphone/android version. They added another new character and added in a few RPG mechanics like a shop. 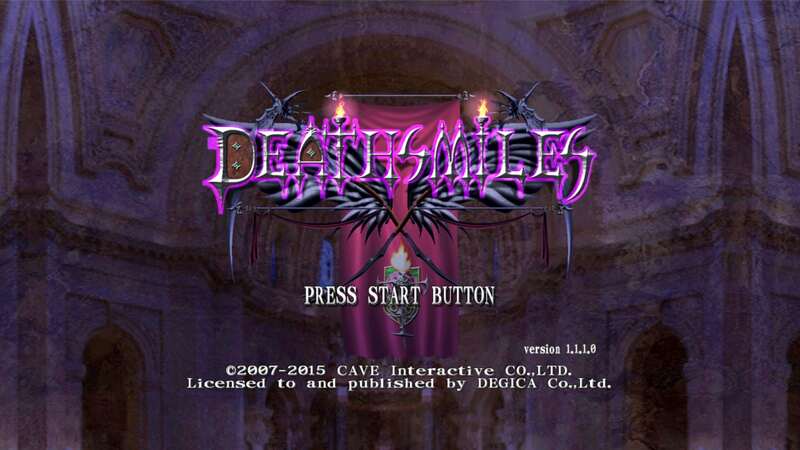 Other than that, this is pretty much every bit the same Deathsmiles that you can get your hands on. It takes a proper lady to bring that much pain, though. The story is pretty bare bones, but still fun. Each character has their own distinct personality along with their different shot styles. They also have dialogue that hearkens back to their origin. Casper frequently slips back into German, and Follett into French. At the end of the game you have a choice as to what you are going to do after you kill the last boss. Your decision determines which ending you get, and each character has two of them. That provides some replay value alone beyond even trying to get a better score. Sakura’s story in particular, in the MBL versions, is a pretty good one and there is more emotional involvement. They even give a story scene for how it is that she will be fighting a reflection of herself, due to the previously mentioned fact that she is a boss character. It’s not really the type of game that you go into for the story, no Cave shooter is, but what is there is a welcome addition. Story elements retain the gothic vibe and then have fun with it. Enemy design is a particular highlight of this title. They take those gothic horror elements and truly run with them. In video games the style is reminiscent of the Castlevania series, particularly Symphony of the Night, but no monster feels wholly copied. They truly went their own direction and the effort paid off. There is also additional design that went into the new versions of the game, an extra stage with new enemies and extra phases of bosses with a new look. Here is a good example of one that is not in any mode but level 999 MBL. This final phase of the 1-2 boss is only on difficulty Level 999. The sound and music design is also stellar. Even when the enemy count is overwhelming, the sounds never become intrusive, and the music always stays fun and interesting. 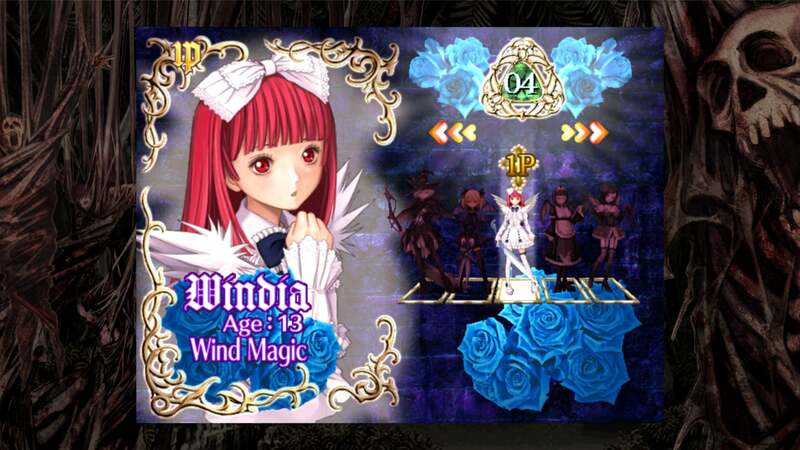 The musical elements will also remind players of Castlevania, but that has more to do with what is widely considered appropriate music for gothic horror. That music design definitely becomes epic when you face off against a boss called “Tyrannosatan”, whose name alone is fantastic, to Bach’s Toccata and Fugue. Only from Japan can you get something that over the top, and I love it. Feel free to use this background music while reading the review. So is there anything bad to say about this game? Frankly, not really. 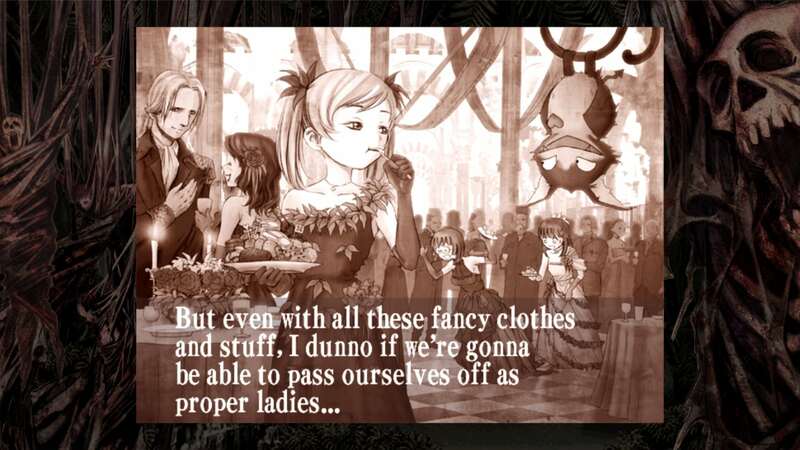 If you know what you want, and a gothic horror bullet-hell shooter fits that description, then this is exactly it. It won’t be for everyone, it is a very niche genre. But this game includes all of those modes and all those extras for a very reasonable price of $19.99. For the first week you even get the OST with the game purchase, and I would strongly recommend that. The translation was done very proficiently. The buttons map directly into a plugged in XBox 360 controller with no fuss. And there were zero issues that I had with bugs or errors. I went through every mode with every character on every difficulty and it stayed running well, and more importantly it stayed fun. If you are a shooter fan, I cannot recommend this title enough, it is a classic for a reason. Even if you aren’t a shooter fan, you may want to give this a try. Realistically it’s easy to beat this game because continues are infinite and it only takes about an hour per playthrough. Where the challenge comes in is with trying to achieve the highest score. So if the price is right, consider giving these goth girls a go.